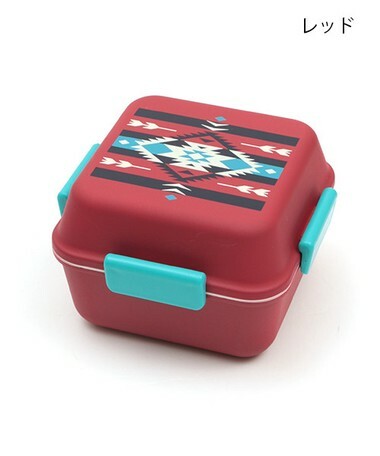 Navajo handle is a point square double lunch box. 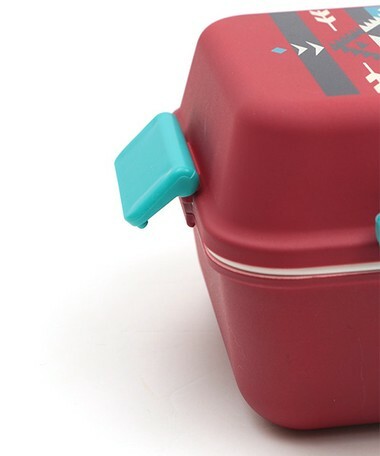 Because it is a secure 4 point lock specification, it prevents it being fixed securely and spilling. 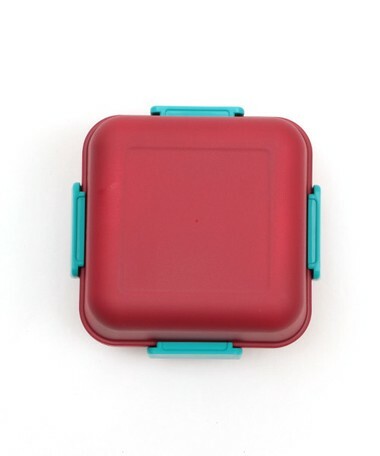 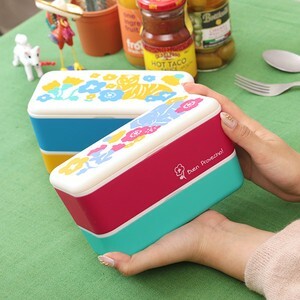 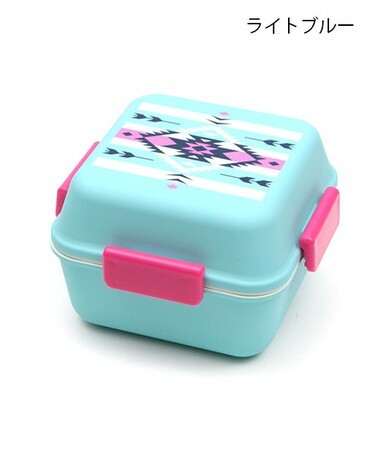 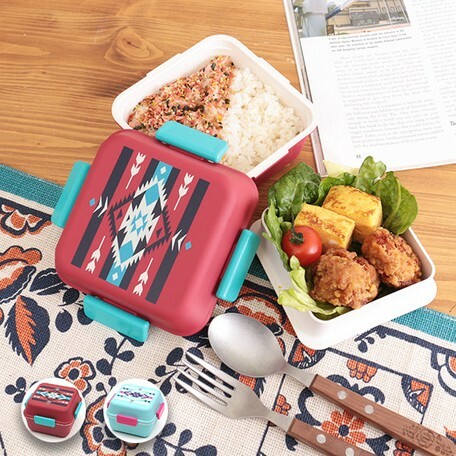 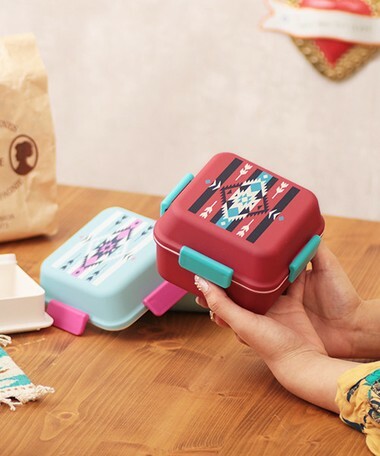 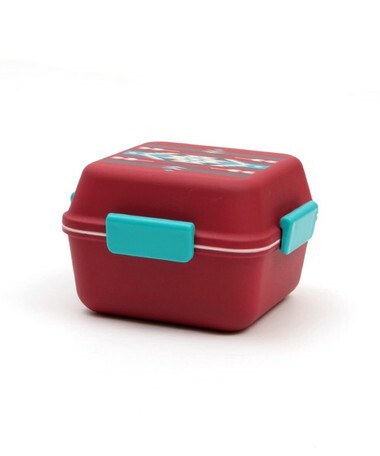 After eating, you can store it compactly, take the upper row and use it as a single lunch box. 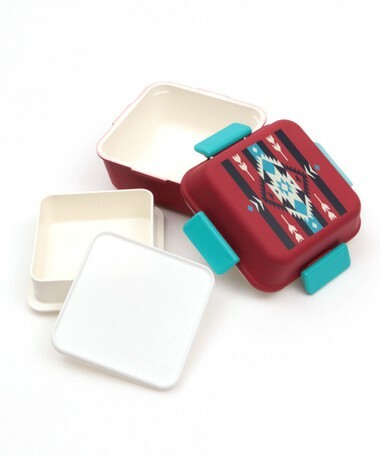 We prepared two colors of red and light blue for color. 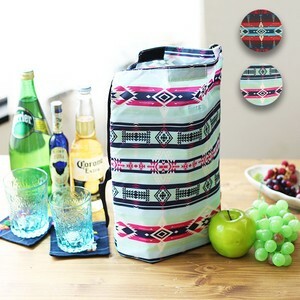 ※ Depending on the cutting position of the fabric, the cloth product may differ in color and pattern attitude in the same product ・ color. 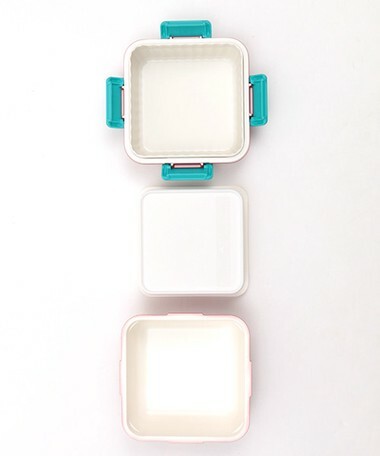 ※ Model wearing photographs may have color difference due to light adjustment. 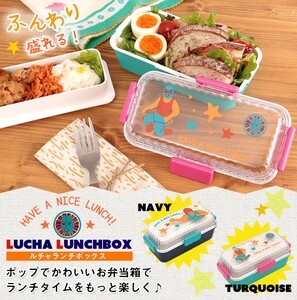 ※ The color detail image is close to the real color.